Well, but it’s exactly in this age (and I’m in it as well, some of you definitely, too) – 25 to 35 – that our life is utterly exciting. We are travelling a lot, are successful in our jobs, some of us are already super moms, we follow our dreams and hobbies and also try to be the best wifeys for our men… of course, all this pressure is stressing out our skin as well. 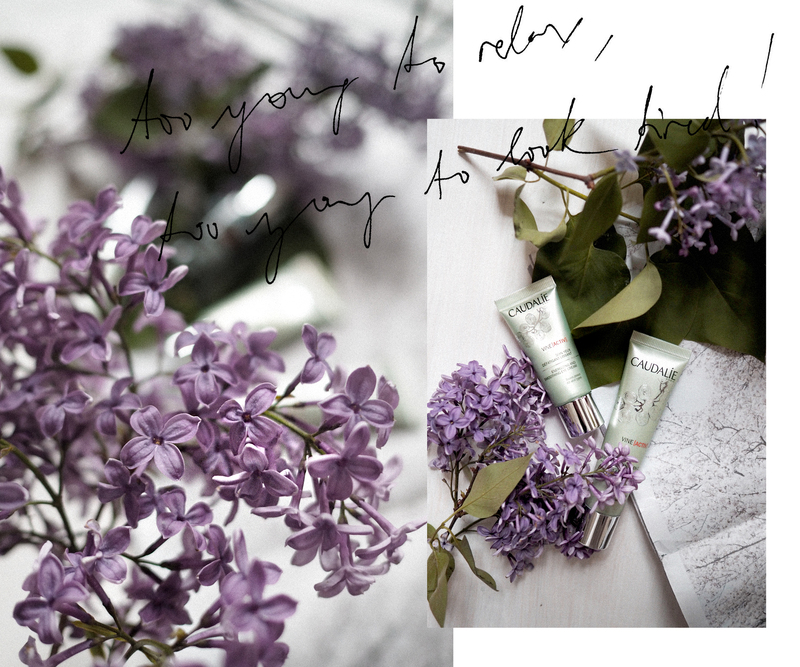 Not to forget all the outer bad influences on our skin like pollution, bad eating behaviour and lots more… it’s that moment when we really have to start thinking about an anti-aging skincare-routine that makes sense for our age group. French girls are being more clever, here, because they go to the pharmacy – and a pharmacy in France is more like a nice stop during a shopping spree than a place to only buy stuff against headache and bandages. 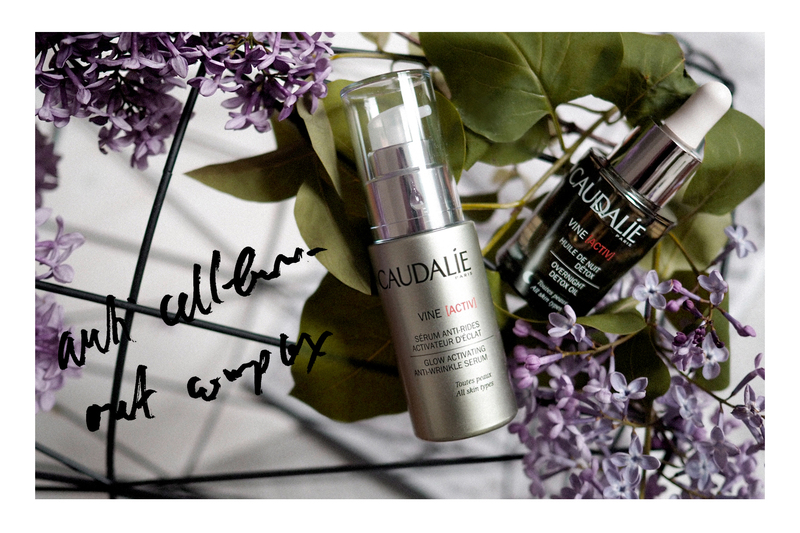 No, the French girl is going there to buy her amazing and high quality beauty products for her skincare routine and of course, Caudalíe is a brand many French women trust their lives with, because the products are sooo good! 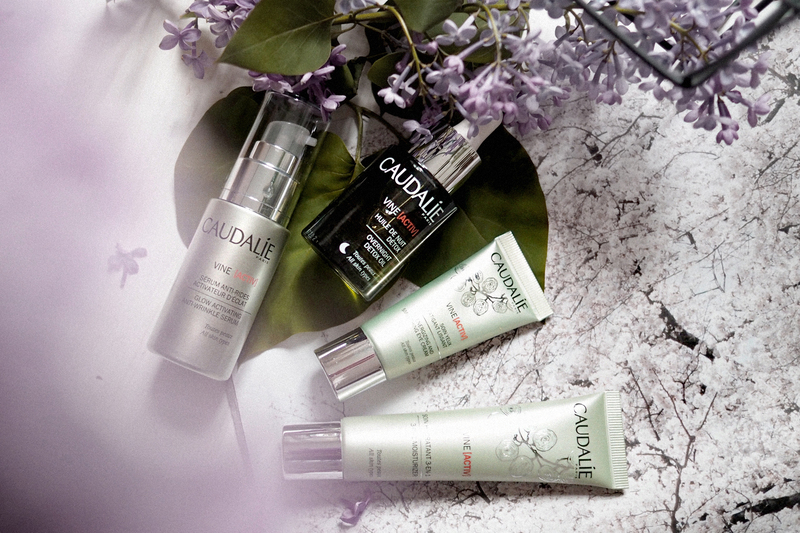 Perhaps, you haven’t heard of Caudalíe*, yet, because here in Germany, you only find the products in a few, selected pharmacies and in the only boutique, which is located in Dusseldorf. Of course, you can also buy the products online, but anyway, it’s okay if you haven’t heard of the beauty-brand, yet. So, with Vine[Activ], Caudalíe created an anti-aging care-series for women aged 25 to 35, which is meant to stop time and activate youth. Something like that, hehe. 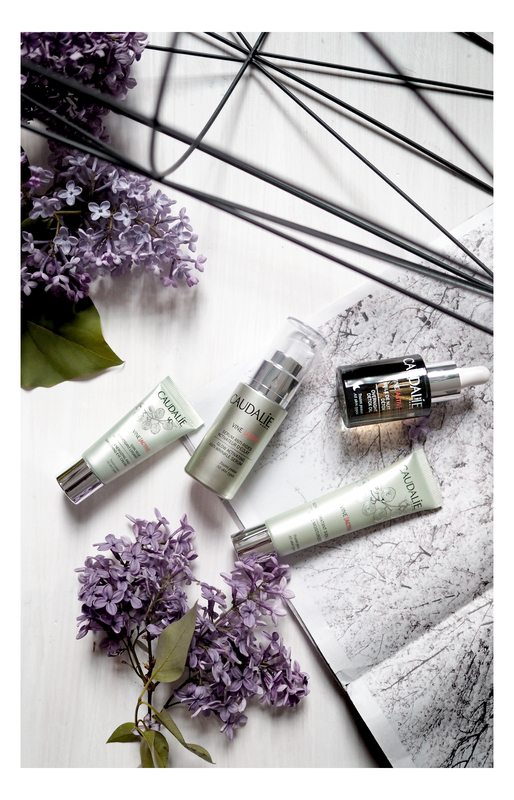 I have tried the four products for a couple of weeks now and have to say, that they all feel amazing on my skin and especially the overnight detox oil is so good, it makes me feel and look so much fresher in the mornings. And in this way, it is so much easier to start the day. If you want to read more about each product, simply click on the link and it will lead you to the sub-site where you’ll find all the information. Anyway, I’m super happy with the products and will definitely talk more about Caudalíe in the future – after all, the Caudalíe Boutique in Dusseldorf and I are almost neighbours, hehe. Have you heard of Caudalíe before? And if so, what are your experiences with the products of this French brand? I’m looking forward to your comments! jaaa ich bin selber auch schon ein bisschen Caudalie-Fan! Ich habe schon viel Gutes über die Produkte gehört! Deine Bilder sind echt toll geworden! Der Flieder passt perfekt dazu! Hey, ich muss gestehen, ich kenne zwar die Marke, habe jedoch noch nie etwas davon genutzt. Ich habe schon einiges von der Marke gehört – und alles war positiv. Der einzige Kritikpunkt war immer, dass es die Caudalíe Produkte nicht überall gibt. Seit meiner Kindheit kaufe ich den Sonnenschutz in der Apotheke. Meiner Haut möchte ich eben das Beste geben. Klar, ist es teurer aber am Ende lohnt es sich. Schöner Beitrag und tolle Bilder! Ich schleiche schon so lange um die Produkte von Caudalie. Vielleicht schaffe ich es ja mit dieser Serie endlich mir die Produkte einmal anzuschauen. Das Öl hört sich zumindest so an, als wäre es genau nach meinem Geschmack! Ja, man möchte es nicht so gerne wahrhaben, aber auch ich bin ganz klar im Alter für Anti-Aging Produkte. ;-) Caudalie möchte ich jetzt auch bald mal austesten, die Marke finde ich sehr spannend und die ist hier in Luxemburg sehr weit verbreitet. Übrigens wunderschöne Bilder! Von Caudalíe hatte ich mal ein Öl-Spray, welches mir total gut gefallen hat. Ich muss mal diese Produkte genauer unter die Lupe nehmen.